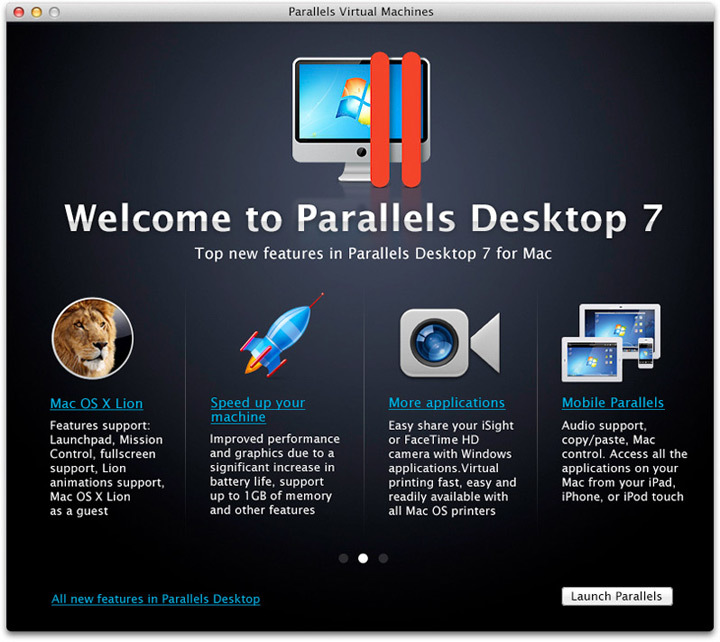 Task: to reinvent the interface of Parallels Desktop software. 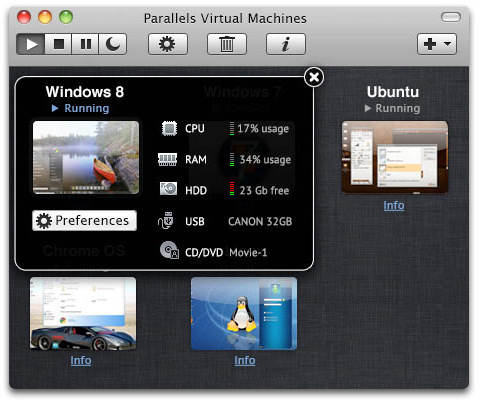 Parallels Desktop is popular among users of both Mac OS and Windows. The former use it to run software that exists only for Windows while the latter want to use Apple computers in the familiar environment. Furthermore, it is popular among professionals who need to access a multitude of operating systems. General interface principles, appearance of all screens, organization of menus and the logic of main functions were revised at the studio. New icons, indicators and effects were also created. The suggested interface closely follows the Mac OS style: it is simple and logical, uses understandable language and makes rich functionality of the program easily available. 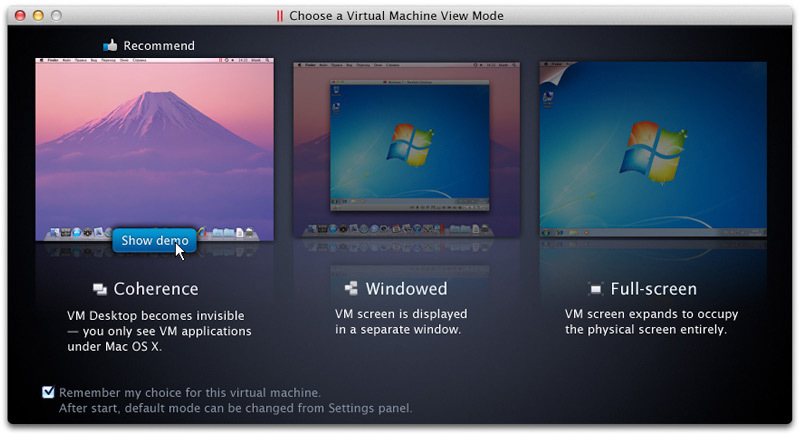 Separate settings menus and windows for managing virtual machines were replaced by a single control panel, which is equally convenient for users with many virtual machines and those with only one. 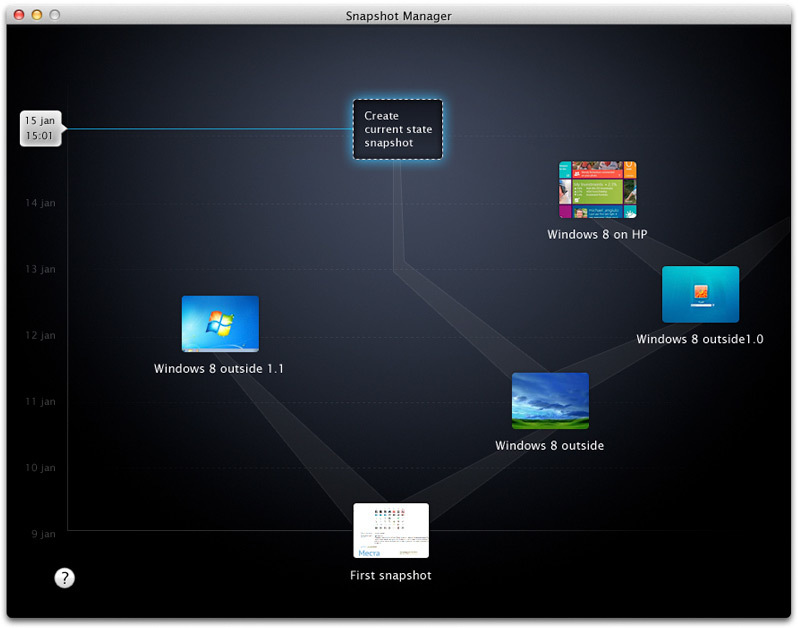 Virtual machines are represented by screenshots that can be easily rearranged. Configuration of a virtual machine and information about its status are only a click away. Changing software preferences and virtual machines settings is simple and logical. Managing machines and attached devices is easy regardless which mode the user is in. 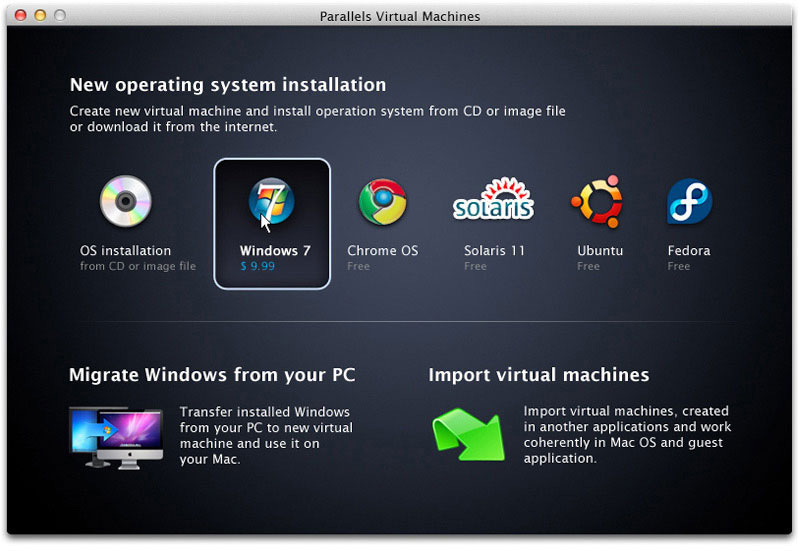 Installation and activation of Parallels Desktop takes much less time now. The process of creating a new virtual machine, importing an existing one or creating a new one based on a physical computer has become more user friendly. The new appearance and behavior patterns extend to all view modes of the program: running in a separate window, running full-screen or in the Coherence mode where guest OS applications are integrated into Mac OS. The view mode selection window clearly demonstrates the modes and helps choose the most suitable one. Saved snapshots of a virtual machine are shown on a timeline and can be easily reverted to. Rules for the use of elements of the new interface are described in special documents created at the studio.